Donald Runnicles and the BBC SSO are joined by Kelley O'Connor and Paul Groves to perform Mahler's Das Lied von der Erde alongside works by Japanese composer Toru Takemitsu. 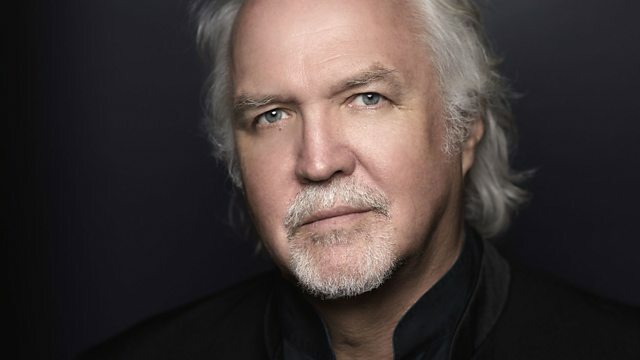 Donald Runnicles and the BBC SSO are joined by Kelley O'Connor and Paul Groves to perform Mahler's Das Lied von der Erde, alongside works by Japanese composer Toru Takemitsu. "The dear earth everywhere blossoms in spring and grown green", the closing words of Mahler's symphonic song-cycle Das Lied von der Erde. Inspired by a volume of Chinese poetry it sets a meditation of earthly beauty and existential angst amid some of the most imaginative and powerful writing for orchestra from the 20th Century. And dreams of the natural world haunt the music of Toru Takemitsu. The Japanese composer best known to European audiences: his music is both modern and in touch with the traditions of Japan. The concert opens with 2 of his most characteristic works. 'A Flock Descends into the Pentagonal Garden' is music inspired by a vivid dream in which birds swirl through a garden situated on the head of Marcel Duchamp. This is paired with the composer's terse but haunting 'Requiem' for string orchestra from 1957 - the piece which really rocketed him towards international recognition. Orchestra: BBC Scottish Symphony Orchestra. Conductor: Donald Runnicles. Music Arranger: Toru Takemitsu. Composer: John Lennon. Performer: Claudio Tumeo. This is About You - Fall from "The Seasons"
Performer: Satoko Fujii. Orchestra: Satoko Fujii Orchestra. Orchestra: BBC Scottish Symphony Orchestra. Orchestra: Donald Runnicles. Performer: Daniel Hope. Performer: Paul Neubauer. Performer: David Finckel. Performer: Wu Han. DEUTSCHE GRAMMOPHON : 479 4609. Choir: Tenebrae. Director: Nigel Short. Hubert Parry: Songs of Farewell: Tenebrae/Nigel Short. Choir: Tenebrae. Conductor: Nigel Short. We broadcast more live and specially-recorded concerts and opera than any other station.